Three enjoyable entertainments from that whirling, twirling dress form, Loretta Young. 20th Century-Fox's Cinema Archives line of hard-to-find library and cult titles has released Come to the Stable, Three Blind Mice, Suez, a Loretta Young triple feature. 1949's religious comedy drama Come to the Stable is directed by Henry Koster (from a real-life Clare Boothe Luce story), and co-stars Celeste Holm, Hugh Marlowe, Elsa Lanchester, Thomas Gomez, Dorothy Patrick, Regis Toomey, Dooley Wilson, and Mike Mazurki. 1938's romantic comedy Three Blind Mice, is directed by William A. Seiter, and co-stars Joel McCrea, David Niven, Stuart Erwin, Marjorie Weaver, Pauline Moore, and Binnie Barnes. And Suez, from 1938's biopic hooey Suez, is directed by Allan Dwan, and stars Tyrone Power, Annabella, J. Edward Bromberg, Joseph Schildkraut, Henry Stephenson, Sidney Blackmer, Sig Rumann, Nigel Bruce, Miles Mander, and George Zucco. Since all of these titles are still available individually on disc, whether or not you purchase the Come to the Stable, Three Blind Mice, Suez Loretta Young triple feature depends, I suppose, on how much you're into Miss Young--and die-hard fans of hers (are there any "die-hard" Loretta Young fans out there still?) will no doubt enjoy these three solid entries. No extras for these fairly good fullscreen black and white transfers. Let's look very briefly at each title. Arriving on a wintry, starry night in Bethlehem, New England, French nuns Sister Margaret (Loretta Young) and Sister Scolastica (Celeste Holm), from The Order of Holy Endeavor ("We work, and we pray,"), spy their destination: the rented home/barn studio of religious painter Miss Amelia Potts (Elsa Lanchester). Detailing their transcontinental quest to the surprised artist, Chicago-born Sister Margaret (now I get the accent...), explains that during the war, she prayed to God to save a group of children in a hospital--one that was being used by the Germans as an observation post, and one that Sister Margaret begged the American troops not to shell, lest the children be killed. Well...the children were saved, but a lot of dogfaces bought it that day, and Sister Margaret vowed to go to America and build a children's hospital in thanks. And by chance, a postcard of Miss Potts painting, Come to the Stable crossed their paths, and they decided that Bethlehem was an inspired choice for the hospital. There are only two problems. One, the hill they want to build on, which adjoins Miss Pott's rental property, is owned by gangster Luigi Rossi (Thomas Gomez), who plans on building there his hideout retirement home. And two, the nuns have zero money. Visiting the local bishop (Basil Ruysdael) only gets them spending money; he has no time for--and no belief in--the nuns' holy quest. Miss Potts' landlord, composer Bob Mason (Hugh Marlowe), is quietly and politely amused by the nuns' dogged persistence, but when the sisters somehow score the land they need for free, Mason's desire for wealthy seclusion trumps his good-natured indulgence. Watching the genial, slickly-packaged fantasy Come to the Stable, you might be hard-pressed to believe it's based on a true story...and you'd be right, technically, since the on-screen antics of Sisters Young and Holm have been somewhat changed from the facts. From what I can gather about the prolonged production, writer and politician Clare Boothe Luce, a staunch promoter of Catholicism, submitted to Fox in 1948 a story closely based on the founding of the Regina Laudis Priory, in Bethlehem, Connecticut. Negotiations with the Benedictine nuns, however, were problematic (someone close to the talks called the nuns "terrific spiritual snobs"), with the nuns turning down a cool $25,000 for the movie rights to their story, fearing an impious "Hollywood" approach to their story. Alterations were made to largely fictionalize the story, including having the nuns come to America unannounced (they were actually invited by biblical painter, Lauren Ford), having the nuns go begging for their land from a gangster (in reality, a Protestant farmer freely donated the land and factory building), adding a war/children's hospital angle (the real nuns wanted to build an abbey), and of course changing everyone's names. Apparently, the nuns still held out approval even after shooting began (which could have spelled trouble in the papers), until Come to the Stable's producer, Samuel G. Engel (My Darling Clementine, Night and the City), made a personal plea to the Benedictines, reassuring them that the movie wouldn't be connected with them in the press...along with a $25,000 "good will" donation (P.R. problem solved!). Since star Loretta Young had won an Oscar the year before for The Farmer's Daughter, and had another big, big hit with The Bishop's Wife the same year, she was able to secure script approval for Come to the Stable--an unusual stipulation for an actor at the time, but one that Young insisted upon, considering her devotion to the Catholic church. 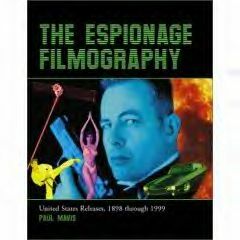 Several scriptwriters worked on the story, including Engel and no less than Dorothy Parker (her version was immediately 86ed by a startled Young), before Oscar Millard (Angel Face, The Conqueror) and Sally Benson (Shadow of a Doubt, Meet Me in St. Louis, Viva Las Vegas) were credited with the final draft. Studio head Darryl Zanuck hired trusted studio journeyman Henry Koster (The Bishop's Wife, Harvey, The Robe) to helm the picture, which proved to be a sizeable hit at the box office and with (most of) the critics, even gaining a heavy slew of eight Oscar nominations, including Best Actress for Young, and Best Supporting for Holm and Lanchester. Come to the Stable was completely new to me, and quite honestly...I wasn't exactly looking forward to it. I've never been a big fan of Young, so coupling the by-all-accounts overbearingly pious Young with the role of a nun, seemed like a smug time at the movies. Everything I've read about Young indicates she was rather strident about her religious convictions, to the point of annoying her fellow cast mates with lectures, sermons and even "swear jars" that had to be paid quarters and dollars when someone in the cast or crew let slip a naughty word--a thoroughly common occurrence on any tension-filled Hollywood studio set (it's probably apocryphal, but there's a well-worn story out there that after Young shook one of her notorious "swear cans" in a director's face one too many times, the infuriated helmer--his name varies between storytellers--pulled out his wallet and growled, "Here's five bucks, Loretta--shove it straight up your *ss!"). Pretty Young could be pretty stiff at times on screen--skilled, surely, but a little too "correct" and mannered for my tastes--so seeing her as a nun didn't sound promising in the slightest. Imagine my surprise, then, when Come to the Stable turned out to be an obvious but low-key little charmer, with Young perfectly pitched as determined, dedicated, indefatigable Sister Margaret. Tone is everything in a comedy-drama like Come to the Stable. Come off as too flip and jokey, and no one will buy it when the sentimental, religious moments pop up; come over as too self-serious and pompous, and no one's going to laugh when the scenes need to shift to a lighter purpose. Come to the Stable manages, most of the time, to swing quite effortlessly between these two thematic requirements. The opening is an excellent example. Young and Holm walk along a dark, dreamlike, snowy studio landscape, seeing the sign for "Bethlehem," before coming upon a barn/manager, where they spy a full-scale mock-up of Christ's birth, complete with animals and costumes. I didn't know anything about the story prior to watching this, so I honestly thought this was set in the Holy Land or something...before Koster has one of the young boys kick the other in a squabble, and we suddenly realize it's a staged tableau for American artist Lanchester. Nice. The rest of the movie navigates that gently kidding/modestly earnest combo well. Sure it's contrived fantasy most of the time, and by "fantasy" I'm referring to the story coincidences and the ever-increasing plot point obstacles that momentarily confound the cheerful-in-Christ nuns before they brush them aside with a smile and a little faith, rather than the notion of their "faith" being a fantasy (this Methodist born-and-raised reviewer may now be an atheist, but he's a most reluctant and envious and respectful one). Some reviewers seem to resent this kind of "shameless manipulation" in Come to the Stable, if I read one reviewer correctly--a silly reservation since any and all movies and documentaries "manipulate" the viewer to one degree or another, just by the very process of the picture being physically put together (if I choose this take over that take, or if I show this side of the street during a riot as opposed to the other, I've just manipulated the "reality"...and you). But the very DNA of "art" is manipulation of some material by man to evoke a response, and Come to the Stable is a solid example of the smooth-as-silk, confident, classically-produced Hollywood genre "manipulation" that was astoundingly routine during that time period. Come to the Stable's overt comedy scenes--nuns driving Jeeps and playing tennis in their habits--won't get a titter today (although you never know, since relatively recent garbage like Sister Act made millions). However, most of the humor derives from the sisters gently pushing and pushing for what they want, regardless of the consequences, while the laughs get more tense as we wait for someone, finally, to blow up at their one-too-many demands. As for Come to the Stable's more serious moments, they're handled just as surely--never too strident or insistent, but gently, even matter-of-factly (multi-talented Thomas Gomez has the movie's most "real" moment, giving a simple-yet-heartbreaking, "No," when the nuns ask the supposedly fearsome gangster if his son came back from the war). You're never in doubt as to how Come to the Stable is going to resolve itself--those nuns are going to get everything they want--but it's such a surprisingly sweet, convivial, low-key journey, you don't mind seeing all the signposts miles ahead. Just a couple of weeks ago I reviewed 1946's Three Little Girls in Blue, the second musical remake of Three Blind Mice (Moon Over Miami came out in 1941). The fact that this movie was remade twice in less than ten years must speak to someone at Fox believing it was a valuable property that could be reliably re-worked and re-mined for additional profits. And while I haven't seen Moon Over Miami, I enjoyed the sweet, upbeat Three Little Girls in Blue (admittedly: mostly for the musical numbers). Three Blind Mice isn't what I would call "sweet," but it's an equally effective, entertaining romantic comedy, verging on the screwball (one extra slapstick scene would have pushed it over), with a better cast adept at the comedic bantering that frequently peppers the screenplay. Written by Brown Holmes (I Am a Fugitive from a Chain Gang, Castle on the Hudson) and Lynn Starling (Footlight Serenade, The Cat and the Canary), and directed by William A. Seiter (Susannah of the Mounties, Sons of the Desert), Three Blind Mice's tone is harder and more flippant than the deliberately saccharine Three Little Girls in Blue. The three sisters are a sassy group of wiseacres here, with more spirited gumption than their musical incarnations (watch how they rambunctiously hustle out the settlement lawyer). And while I'm not confusing "character arc" with "story depth," there is a noticeable progression for Loretta Young's character that gives the movie's dramatic scenes some heft. She starts out a spoiled, willful brat (she's very funny crying and carrying on when it looks like her sisters are going to renege on their plan to snare a millionaire--until she gets her own way and the waterworks are immediately shut off), and progresses, I guess, into a bona fide gold digger, until she finds real love, which she gladly trades for no money. Having her heart broken, she settles for money again, but agonizes over it. Certainly it's not Tolstoy...but it's a little bit more than the sunny happenstance of musical Three Little Girls in Blue. And with apologies to June Haver and George Montgomery and the rest of the players in Three Little Girls in Blue, Three Blind Mice's A-list heavyweight cast is, frankly, superior. Since there aren't any musical numbers to distract the viewer from the slimness of the storyline this time around, the actors better know their way around snappy comic repartee, which Young, McCrea, Niven, and Barnes certainly do. As I wrote above, Young manages to take her character through a reasonably believable set of emotions here (she's beautiful and really quite technically skilled...I just wished I liked her more than I do), while Niven and McCrea offer up contrasting but equally appealing masculine charms. David Niven, who could easily have been the original inspiration for the word, "urbane," is just that here, with a confident, sophisticatedly witty lilt to his line readings that was a consistent--and most welcome--element of his long, long career (Niven gets the biggest laughs, such as when he tries to save Young from drowning, politely offering some British understatement, "I'm can't, I'm sorry!" as he goes under). By contrast, Joel McCrea, that habitually underappreciated second-tier star who could do anything, effortlessly delivers that laid-back, confident, vaguely smart-assed, quintessential American male lead he could do in his sleep. His modest, "good sport" attitude is well-matched with the material here, and he seems quite comfortable slinging it with Young and Niven (while Young looks delighted to be sandwiched between these two charmers--the movie isn't shy at all about suggesting, ever-so-slightly of course, that she's truly "enjoying" both men). The third act plot mechanics may get a little sticky (the same thing happened in Three Little Girls in Blue), but luckily wacky, delightful Binnie Barnes--a huge improvement compared to snotty Celeste Holm in Three--is around to keep the laughs flowing. With a sharp script and such agreeable farceurs, no wonder Three Blind Mice was remade again and again. In 1850 Paris, promising French diplomat Ferdinand de Lesseps (Tyrone Power) only has eyes for the lovely Countess Eugenie de Montijo (Loretta Young) of Madrid. So, too, does Louis-Napoleon Bonaparte (Leon Ames), President of the French Republic and nephew to the deceased emperor, who knows a too-handsome rival in love when he sees one in the dreamy de Lesseps. Quick as you can say, "Mon dieu!" de Lesseps is shuttled off to Egypt, where his father, Count Mathieu de Lesseps (Henry Stephenson) is the Consul-General--but not before de Lesseps impetuously implores Eugenie to marry him...which she of course doesn't, considering de Lesseps is a nobody. Once in Egypt, de Lesseps meets French wildcat Toni Pellerin (Annabella), who has followed her grandfather, Sergeant Pellerin (Sig Ruman), at camp. A chance ride out into the dunes after a rainstorm gives de Lesseps an inspiration: a canal built between the Red Sea and the Mediterranean. To do this, though, de Lesseps must negotiate the tricky waters of international politics through his friendships with crafty English Consul-General Sir Malcolm Cameron (Nigel Bruce), wise Viceroy Mohammed Ali (Maurice Moskovitch) and his nephew, dopey Prince Said (J. Edward Bromberg), the blunt British Prime Minister (George Zucco), who sees such a canal as a threat to England's supremacy, and of course Louis-Napoleon, now Emperor Napoleon III, who has grown increasingly close to Eugenie, and who has brought France to the brink of civil war. I didn't remember a thing about the building of the Suez Canal from my college class in Modern European history, so I went back and did a cursory flip through some net sources and discovered that basically...Suez spells de Lesseps name right and that's about it. Apparently, the descendents of de Lesseps actually sued Fox back in 1938 for defamation of character when the movie came out (they lost), such was the level of invention here in Philip Dunne's (How Green Was My Valley, The Robe, The Egyptian, and Julien Josephson's (Disraeli, Heidi, Wee Willie Winkie, Stanley and Livingstone) script. I would imagine by now it's fairly common knowledge with most serious moviegoers that Hollywood biopics played (and still play) fast and loose with the facts, so anyone going into Suez hoping to crib a term paper on de Lesseps the night before it's due is out of luck here. As with any genre exploited by the factory-like movie studios in Hollywood's golden age, story frameworks and conventions that proved popular with audiences were quickly drawn up and then adhered to fairly rigidly (which only helped to further streamline the production phase), with biopics fairing no differently in this combination of aesthetic and financial regimentation. The studio executives and producers cared little if the actual biographical facts of their intended historical figures didn't match up with their "great man, great struggles, great love" fictional triangles; if those elements didn't exist, they were fashioned out of whole cloth by the screenwriters on payroll and to hell with the truth. That's why you can watch studio biopics from this period covering a diverse range of personalities like Disraeli, Pasteur, and Strauss...and come away with the odd (and wonderfully silly) feeling that they all led basically the same life. And when box office numbers and critical reviews were tallied up, who can blame the studios for cranking out these biopics such as Suez like so many well-dressed sausages? Certainly Suez's 20th Century-Fox, as led by Darryl Zanuck, had a good reason to stick with this genre, since Zanuck had for years excelled at producing biopics. When Zanuck was production chief for Warner Bros. during the late 20s and early 30s, he had personally shepherded several smash biopics starring the first king of the genre, stately actor George Arliss (Disraeli, Alexander Hamilton, Voltaire), before bringing his biggest star along with him to the newly created Twentieth Century Films (the precursor of 20th Century-Fox) where they made more biopic hits like The House of Rothschild and Cardinal Richelieu. Other studios of course exploited the genre, too, with Metro-Goldwyn-Mayer winning the Best Picture Oscar for The Great Ziefeld in 1936, and Warners clinching the Academy Award for their smash, The Life of Emile Zola, the following year. Couple that impulse, then, to continually re-mint a proven formula at the box office, with tweaks to the form for novelty (Suez's fun special effects-laden "disaster" finale worked well in previous hits like M-G-M's San Francisco and The Good Earth, as well as Fox's and Power's 1937 hit, In Old Chicago), along with reteaming stars audiences liked together (Power and Young had just scored with the Fox comedy, Cafe Metropole), and a movie like Suez couldn't help but get made...regardless of whether or not it had anything to do with the real life of its subject. As for Suez the movie, it's an excellent example of the strengths of the Hollywood biopic as produced during this particular time period. Some reviewers disavow these efforts right off the bat simply because they're largely fictitious exercises. But most moviegoers, then and now (despite elitist yelps to the contrary by those who think they know better), were smart enough to recognize stock, repeated forms and dynamics in these Hollywood entertainments. They went to see and dream about the pretty Loretta Young and the more gorgeous Ty Power, and the sumptuous costumes and the elaborate special effects, when they went to something like Suez. They didn't go for a history lesson (and chances are they didn't retain any of that "history," anyway). Those stock situations of the genre--the doomed love triangle, the notion of a "great man" suffering personally and romantically to succeed materially, the cameos of other historical figures walking through the plot--may not have as many admirers today, but I find them delightfully stylized by their very ritualization and repetition throughout all their various studio incarnations, particularly when they're carried off so well in the case of Suez (show a snooty American culture snob some arch, mannered, existential kabuki "drama" today and they piss all over themselves; show them a formula Hollywood biopic from the 30s like Suez...and all they can do is sneer at the "cliches"). With an A-list budget at hand, Suez has that heft and sheen and most importantly, that confidence of an unself-conscious Hollywood blockbuster that smoothes over its rough spots. Sure, Annabella's performance is annoying as hell (at 30-years-old, she's 15 years too old to be playing the character the way she does--as if Toni were a French-fried Gidget, all arms and legs flailing, trying to madly paw at Power). And where does Young go during the middle and end of the picture, when we're all primed for some guilty romantic reunions and recriminations between her and Power? Under iron man Allan Dwan's stately, assured (but still speedy, perhaps thanks to legendary editor Barbara McLean?) direction, however, one doesn't spend too much time dwelling on these shortcomings. Dwan keeps Suez's bogus story moving along at a sure clip, while eliciting sometimes broad (deliciously hammy Sig Ruman, J. Edward Bromberg, and Nigel Bruce), sometimes quite subtle (Sidney Blackmer, Maurice Moskovitch, Leon Ames, Joseph Schildkraut) performances from the cast. Power, by now a box office sensation and Fox's most important new star, may not have much variation in his performance at this early stage of his movie career, but as always with this vastly underrated performer, there's a mysterious stillness, an inner repose and gravity under those impossibly handsome black Irish looks, that instantly spell "star quality" anytime he's on the screen. Forgetting the impressive pomp and sumptuousness of Suez, and the entertaining silliness of its stock biopic conventions, that star quality alone--back when those elusive, unobtainable stars were more like gods to their devoted fans--is probably worth Suez's ticket alone. The fullscreen, 1.36:1 black and white transfers for Come to the Stable, Three Blind Mice, and Suez look pretty good, with Stable the sharpest and cleanest image, and Mice just a tad noisy and grainy (and maybe a bit darker than I'd like). The Dolby Digital English audio tracks for the Come to the Stable, Three Blind Mice, Suez triple feature are relatively clean, with low hiss, and no subtitles or closed-captions. If you're into Loretta Young, you'll want this triple feature; if you're not...they're still pretty entertaining. The Come to the Stable, Three Blind Mice, Suez triple feature played way better than I feared it would, particularly Come to the Stable surefootedness, and Three Blind Mice's agreeably snappy tone (I already knew Suez was a delightful hoot). All in all...I'm highly recommending the Come to the Stable, Three Blind Mice, Suez triple feature.